What prompted you to start taking photos of people with cats? I’ve been spending long hours at the shelter for almost two years, and in that time I have gotten to know a lot of volunteers who work there. Most of them have a special relationship with one particular cat, and sometimes they ask me to take a photo of them so they can have a memory of their beloved shelter cat. That’s how my photo project of people with cats was born. But after a few portraits, everything evolved, and I had the idea of a real documentary project. So, I started taking photos of volunteers while they were working because I wanted to show the hard work of these people and the love for shelter and stray cats that inspires them. Some of the volunteers help the local shelter, and at the same time they also take care of street cats. I started meeting them outside of the shelter, too. I went to their homes and took pictures of them with their rescue cats. Almost all of the volunteers adopted one or several cats that they met in the street or at the shelter. I’m still working on the full project, which is about the world of stray and shelter cats. I’m interested in every aspect of it, so new subjects will soon be involved. 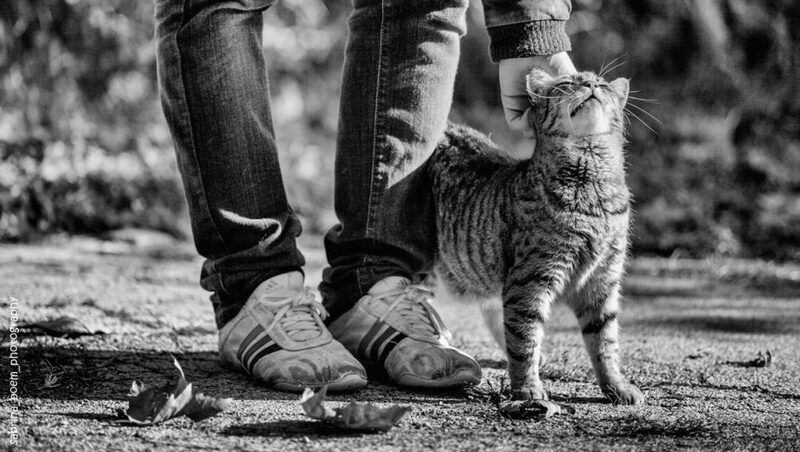 How do you find other people and cats to photograph? 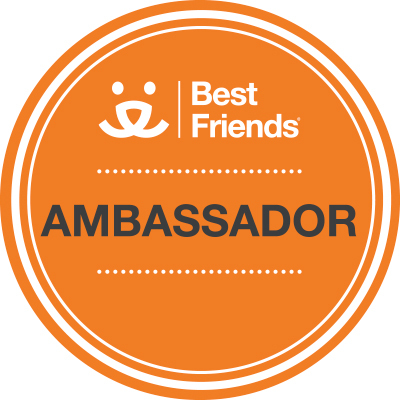 Almost every volunteer at the shelter has introduced me to other volunteers. That is how, little by little, I met many new people who showed great interest in my photo project. That is also how I met Laura B. She takes care of a colony of stray cats, among many other things. Ernesto, one of Laura’s cats. 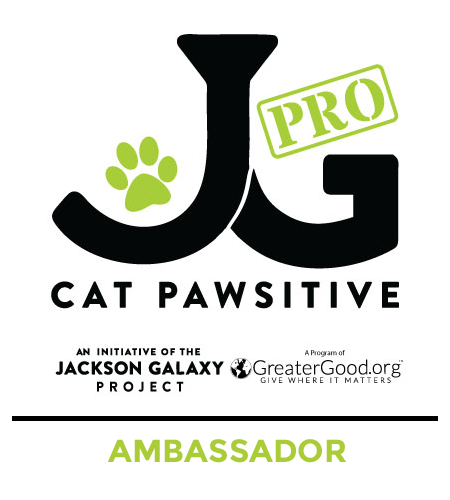 Laura adopted five rescue cats and one dog herself, plus she regularly fosters cats who are waiting to be adopted. I went to take some photos of her big furry family one day at their home and she told me about a book that she was writing for the shelter about the first ‘cat ladies’ of that area…that’s how people usually call women here who take care of stray cats. It’s meant to be a documentary book for which she was going to interview these old ladies who had worked as volunteers for over 30 years. I asked her if I could go with her to take photos of these people. She liked the idea and that’s how I got to meet Donata and her friends and other volunteers. 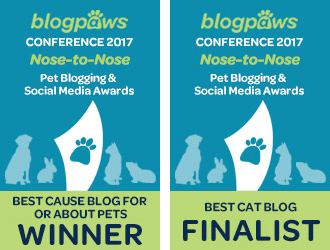 When you are photographing cats with people, do you approach it any differently than your stray or shelter cat photography? No photo is prepared beforehand, which is why sometimes I don’t shoot at all because that good moment for a photo might never arrive. I might even drive for an hour to go meet someone and bring back no photos. But still, it’s always a very strong human experience and it’s always worth meeting such dedicated people. And now some questions about you! What pets do you have at home? I have two cats, Sissi and Ricky. Sissi is the daughter of a family cat. She’s a tabby and I brought her home with me four years ago when she was still a tiny kitty that I could hold in my hand. 1 and ½ years later I adopted my ginger, Ricky, who is a tabby, too. I met Ricky one day at my vet’s office. A lady had taken him there after finding him in her yard bleeding almost to death after a dog had bitten him. His eye was badly injured and the vet said he might lose it. But Ricky was lucky, he was a strong three-month-old kitty and he fully recovered. The lady who rescued him asked her neighbours if they knew where he came from, but he had probably been abandoned, so I took him home with me. Before adopting my Sissi four years ago, I knew nothing about cats. I had never pet a cat and I would never have thought to have a cat at home because I used to think that they smelled and you must spend all day cleaning their hair on the floor…Come to think of it, now I hardly recognize myself. And neither do my friends. I went from ‘No pet will ever come into my home’ to having Sissi and Ricky sleep on my bed. Adopting Sissi happened by chance. I can say that I had no idea what I was doing at that time. But only a few days later, I totally fell in love with her. She changed my life. And by the time I adopted my ginger, Ricky, I was a totally different person. Sissi and Ricky changed my life for the better in many different ways. Yes, I can say that I’ve photographed many stray, shelter and rescue cats so far. And if I feel fulfilled when I do it, that is because I think that somehow cats rescued me. 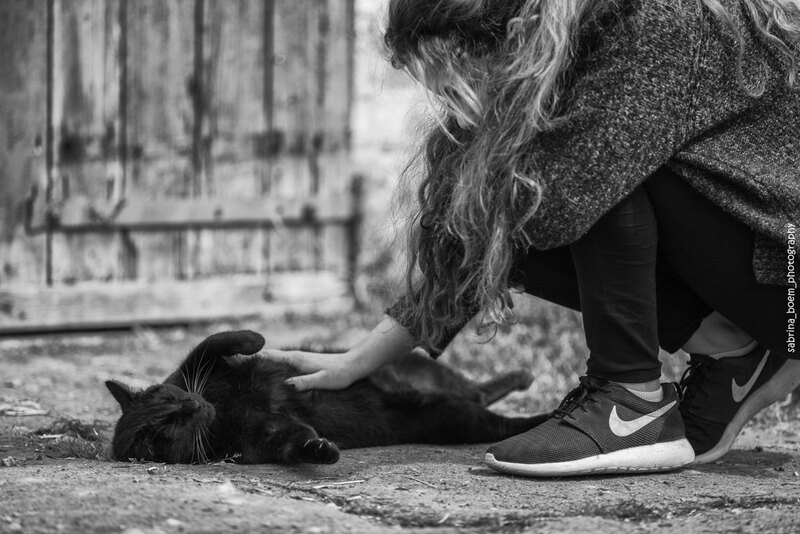 Donata and her friends have taken care of stray cats all of their lives. They have fed and cared for so many cats along the years, and in their heart, they still keep the memory of some special cats. Donata met a young kitty mom at the local shelter, too young to be pregnant. But life on the street isn’t easy. The young cat had been lucky that one of the volunteers who worked at the shelter had noticed her and taken her to the shelter. When the time came, the kitty wasn’t able to give birth naturally, so the vet decided for a C-section. Four kittens were born, so tiny and weak. Since they were born via C-section, the young mom didn’t want to feed them because she didn’t recognize them as her own. The vet said that they could try to feed them artificially, but that the kittens may not make it. And unfortunately, they did not. One after the other, three of them passed away. But there was still one tiny black kitten who seemed to struggle to survive. Donata was devastated but she promised to herself that she would do anything to keep the one young kitty alive. As a gesture of love and respect for that life who was fighting to survive, Donata decided to name him. It was June, and soon it would be June 13th, the day of St. Anthony of Padua in the Catholic calendar. Donata wanted to call him Anthony, but one of her friends and a volunteer at the shelter was a strong believer. Donata was afraid her friend might think it was inappropriate to name a cat after Saint Anthony, and she didn’t want to hurt her friend’s feelings. Donata was a school teacher and she remembered that Antonio (Anthony) Vivaldi, the famous composer of the 18th century, was very sick when he was born. He was christened immediately after birth by the midwife who brought him into the world because his family was afraid he might die. So, Donata named that tiny black, weak kitty Vivaldi. Donata took care of Vivaldi day and night. He grew stronger and he survived, and she decided to take him home with her. Donata says that even after all of these years, she still feels guilty for not being able to save Vivaldi’s little brothers and sisters. Donata now lives with Vivaldi and two other rescue cats. Thank you to Sabrina for sharing her photography with us. Sabrina shares photos of her own two cats, Sissi and Ricky, on Facebook. You can connect with Sabrina on Instagram and 500px. 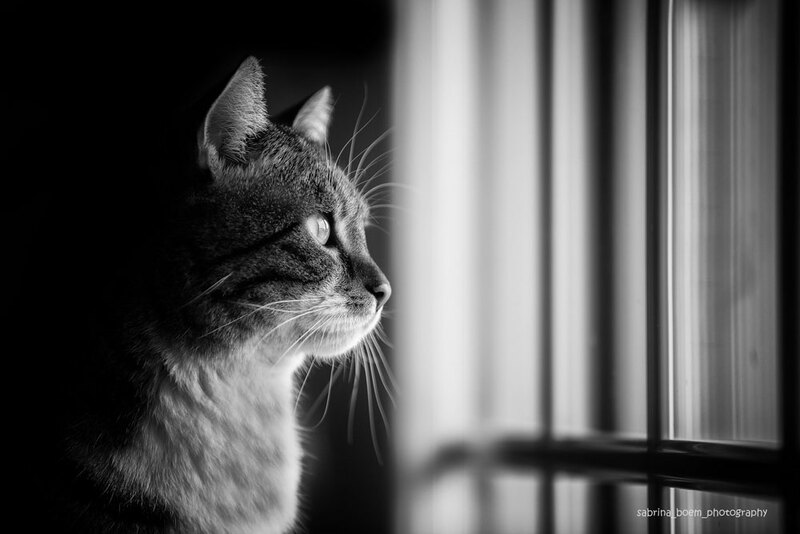 If you missed the first post with Sabrina’s stray cat photography, you can read it here. The third and final post in Sabrina’s series of photos will be about shelter cats, and it’s coming soon! I am completely mesmerized by Sabrina’s story AND her photography. I ADORE that she photographs in B&W. Her photos are stunning. 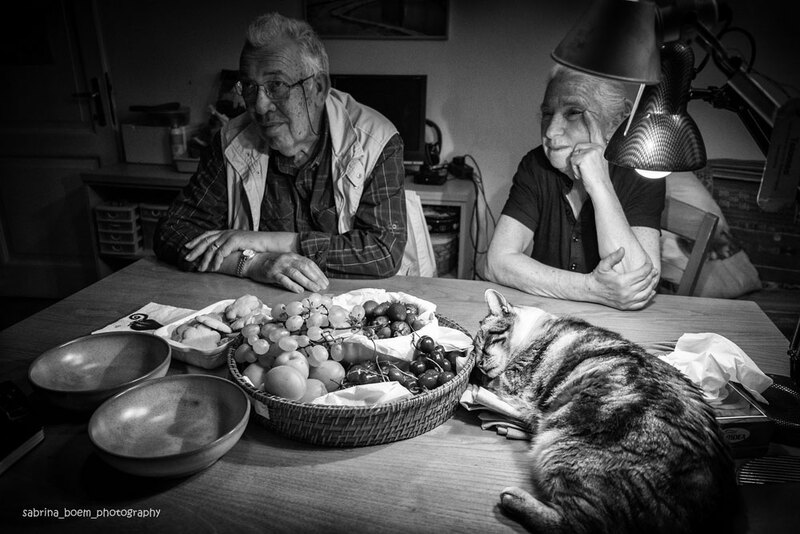 Donata is an amazing woman…..the photo of the cat sleeping on the table without a care in the world is just gorgeous. Thank you for this post! What a wonderful documentary project. Absolutely love the photos and the stories they tell. How exciting for Sabrina to be featured on National Geographic! What a wonderful project, thank you for sharing. The pictures tell a story all on their own, just beautiful! Great fotos, and great story. 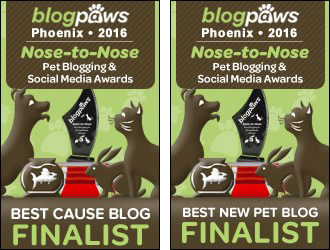 Fanks fur sharin’. Have a pawsum weekend. That was a most wonderful story and amazing photos too! Beautiful photos and beautiful interview! Wow, those are some amazing photos! Wow, these photos are amazing! I love that she is documenting what it’s like for cats who live on the streets. The pictures really are stunning. 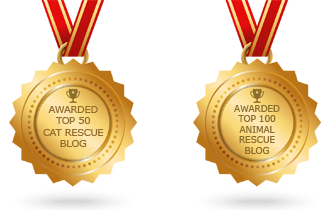 How wonderful to use these images to call attention to the kind souls who give of themselves to help homeless animals. I’m sure these images will inspire others to make a difference. Thank you for this beautiful post. Those are some stunning works of art. Thank you for sharing! Such a lovely interview with the most beautiful photos. Sabrina’s photos are simply beautiful. Such talent. I love her photography so much. The picture of her cat Sissi is AMAZING. 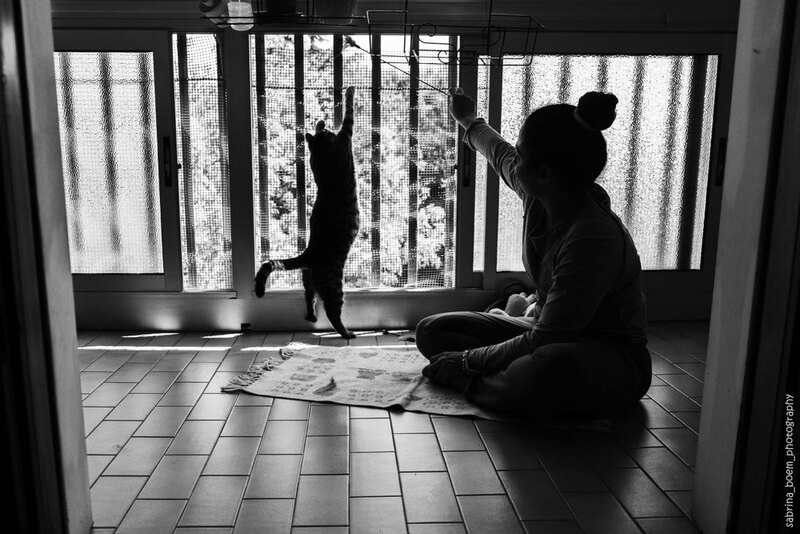 Love the story of Donata and Vivaldi and that she is photographing volunteers with their cats. I have never done much with black and white photography but her work makes me want to give it a try. I am smitten with these black and white images. Loved the story of Donata too. Those are wonderful photos! Thanks for sharing. What a wonderful story and those B&W photos are just stunning – I could look at them for hours. Amazing photos and stories. I am glad Vivaldi was saved, such a gorgeous boy. Absolutely gorgeous photo’s, thanks so much fur sharing! I absolutely love black and white photos! They capture something special and unique that you don’t always see in full color images. 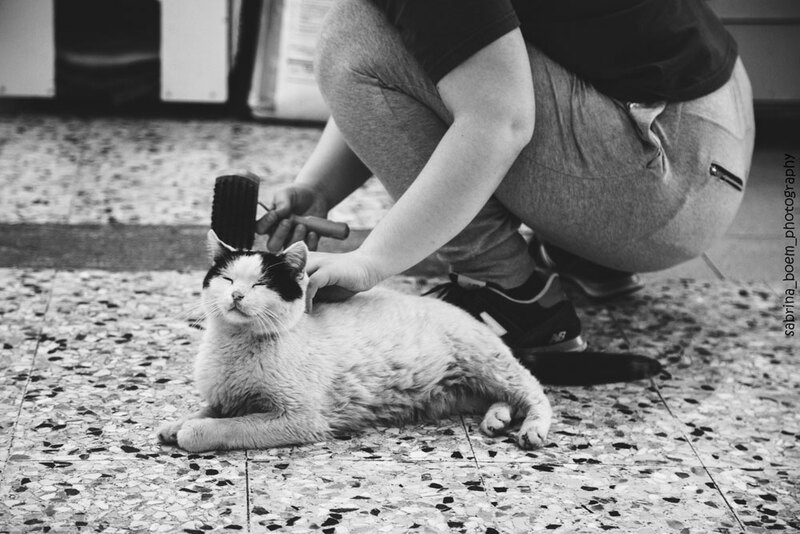 Sabrina’s work is truly special and her focus on documenting the stories of shelter and stray cats through her photography is incredible. This is a lovely post, and we loved Donata’s story! Sabrina’s images are beautiful! The first image is my favorite – I love how sweet the pic is of the cat and how happy she is being scratched. I also think it’s so interesting she chose to shoot in black and white, I like the story they tell and I think it’s a cool choice she made –beautiful! Another great post in your series, I look forward to the third one. I love the story of Donata & Vivaldi, what an adorable photo of them! I’m not surprised Nat’l Geo decided to publish it. 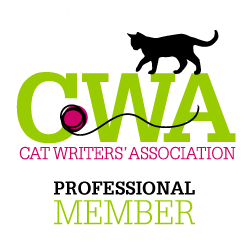 There is so much to this story of the cat ladies, I love it! Wow. Those are some powerful photos. How nice to be able to have a photograph with your cat. It’s not as easy as with a dog since they can go out and people can take a photo easily. Very impressive photos and interview. Wow! These photographs are absolutely spectacular. Thank you so much for sharing these touching stories and stunning photos. Sabrina is a very talented photographer. Her photos are absolutely stunning. We enjoyed reading about her. Fabulous. 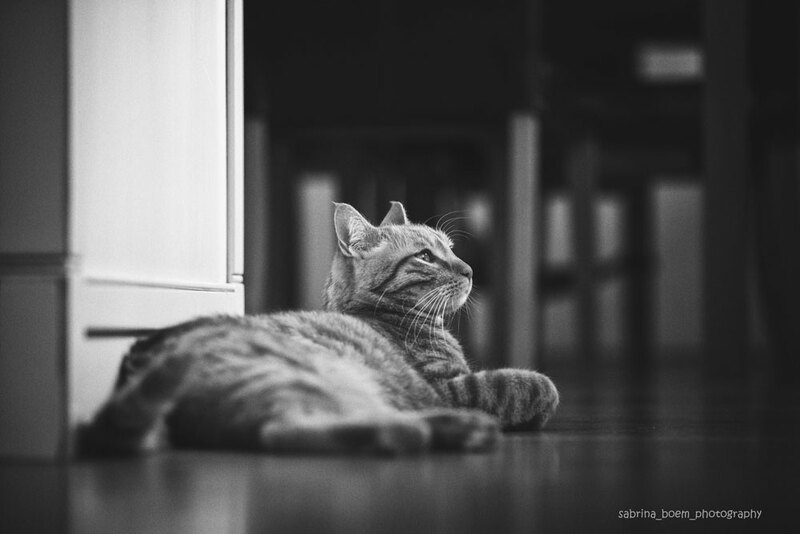 We are enchanted by Sabrina’s photography, and how she captures the human-feline bond. Such gorgeous photography! 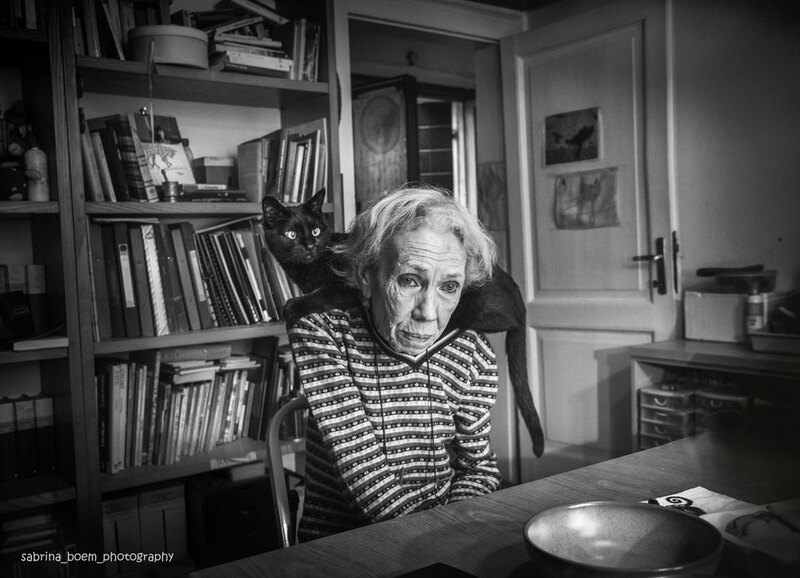 I love the way she is able to capture the uniqueness of both the cats and the people. So many photographers try to make their subjects look “perfect”, or as I prefer to say “commercial”, these days. They take away so much of the humanity by erasing the imperfections. Humans are beautiful and interesting without any help from photoshop! The relationship between the people and these cats is immediately understood seeing these photos. Her photos are stunning and I think the name Vivaldi is perfect. Thanks for writing this, Rachel and Sabrina. The photos are marvelous, like all your shoots. 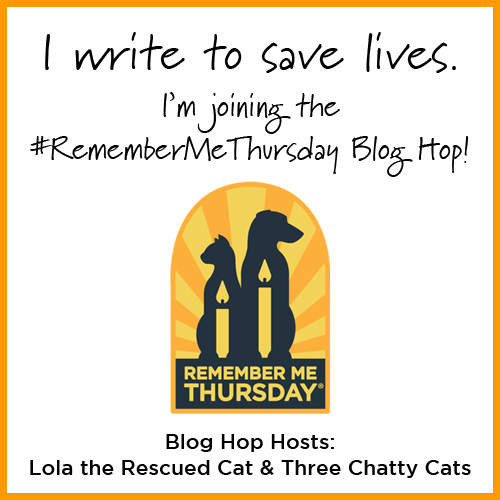 :-) I really like this articles, and Sabrina are right, i think somehow cats rescued me too. These are beautiful! I am so glad to have been introduced to Sabrina’s work. These images are so peaceful. They just make me want to go home and cuddle my cats. Thank you so much for sharing this interview! Thank you everyone for appreciating my work and for your kind words, thank you Rachel for letting me reach out to so many people. I am always looking for photo tips. I love that Sabrina takes candids when people are talking to her. The photos you shared her are true emotional pieces and captured my eye. Black and white the way she took them are fantastic! Thank you for this interview. Such gorgeous photos and the story to go with it! Love! 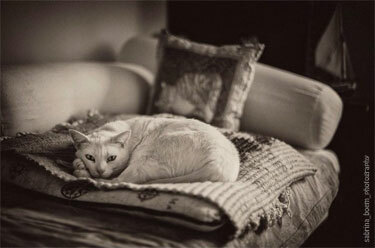 I love Sabrina’s photography and I think her “people and cats” project is amazing! These are soulful images of the human-animal bond. Nice piece. I don’t advertise it but adore black and white photography and have won three Muse Medallions. Wonderful photographs and story. It’s so interesting that she wasn’t a cat person to start with.